KnowledgeShare Case Study: It’s Good to Share…and Care – Maldaba Ltd.
It’s good to share. Even better when it’s in the interest of the health and well-being of the nation as well as the ongoing professional development of NHS staff. KnowledgeShare, a web application created by Brighton and Sussex University Hospitals NHS Trust and built by software developers Maldaba Ltd., is achieving just that and word is spreading fast! 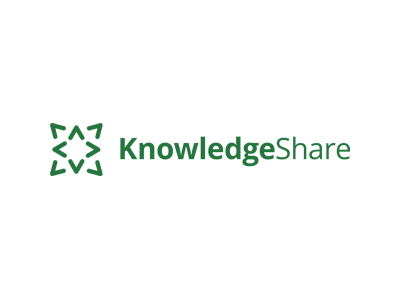 Currently available to around 100 NHS Trusts and Clinical Commissioning Groups, KnowledgeShare is already making its mark with an estimated 25% of all NHS library and knowledge services using it to help improve the quality of patient care decision-making. More trusts are signing up all the time. Library and knowledge services exist within most NHS Trusts to provide doctors, nurses and other healthcare professionals with access to the best evidence. They provide textbooks, journals and online resources and also provide a range of services including evidence reviews to answer questions about clinical care and regular updates to keep colleagues informed about best practice. NHS staff can also access teaching on how to find and evaluate the online healthcare research. Ben Skinner, Head of Library and Knowledge Services at Brighton and Sussex University Hospitals NHS Trust, initially developed a stand-alone, offline forerunner to KnowledgeShare using basic programming skills. Used by staff within his NHS Trust for a number of years, it soon became clear that there was interest in, and demand for a more sophisticated, integrated programme that could share and disseminate the latest medical breakthroughs and research. Ben explained: “My colleagues and I came up with the idea around 12 years ago and built a Microsoft Access database that served its purpose well. “The level of interest from other NHS library services made us look at redeveloping the idea from scratch in 2011 with a view to turning it into a web application. A tender was issued and I met up with Maldaba whose strong health focus suggested they were up to the job. “The result of a lot of close liaison with the team at Maldaba is a web-based application that makes NHS library and knowledge services more accessible to staff and students. It allows library and knowledge services to manage and share evidence searches, effectively schedule teaching sessions, provide personalised evidence updates and report on the searching, teaching and provision of those updates. “It’s an all encompassing, integrated tool that is growing and developing in scope all the time with feedback from users and library services professionals. “There is currently no other system that does as much to share knowledge and provide access to the evidence services available to NHS staff. “KnowledgeShare is about sharing best practice, ultimately with all healthcare professionals in the UK who access library and knowledge services and it could prove to be a subtle way of standardising the dissemination of knowledge within the NHS as well as eliminating waste and replication. “It means that a doctor in Carlisle can access searches and evidence updates requested by a doctor in Brighton and vice versa. “It’s important to note that much of the KnowledgeShare is relatively invisible to NHS staff. They won’t be aware of the software or the development that has gone into it but, as long as they benefit, then it’s doing its job. “I’ve been travelling around the country in recent months doing presentations about KnowledgeShare and the levels of engagement and interest suggest it won’t be long before it’s rolled out nationwide. Uptake will continue to grow rapidly over the coming year,” added Ben. Lorenzo Gordon, co-founder of Camden-based Maldaba in London, sees big potential in KnowledgeShare: “This is all about making the many NHS library and knowledge services more efficient and more effective. “It’s absolutely vital that our valued doctors and nurses have access to the very latest evidence. It inevitably enhances the standards of the healthcare we receive at hospitals and GP surgeries and improves the knowledge base of those professionals in whom we place so much trust. “Ben’s initial work has been the catalyst for all of this and he continues to bang the drum. We have just built on the basics to create a very strong and robust platform that will only benefit us all in the long run,” added Lorenzo. Sharing and caring clearly go hand in hand with KnowledgeShare making it happen.